RickI wrote: This is going back in time, but I don't recall anyone (kiters at large) being totally sold and in love with their reel bar. Having a functional safety was a big problem for many of the units. Some were limited to two lines, the Flobee model was expanded to four lines. Being large, heavy and bulky were other problems. There may well be a future for new and improved reel bars in kiting but it doesn't look like they have much of a past. Using existing bars as originally configured in the present day doesn't strike me as being a good idea. Circa 2001 to 2002. In these days quick releases were very new and highly unreliable across the industry. Have no idea about the model that came with this one. 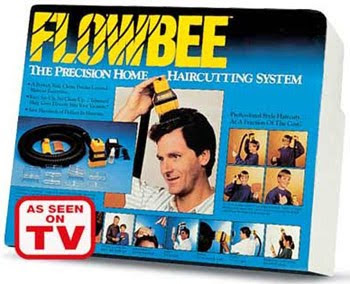 Ironically, this "precision" hair cutting system ala vacuum cleaner accessory was a broader success from the same designer. Cory with his kiteski bar. 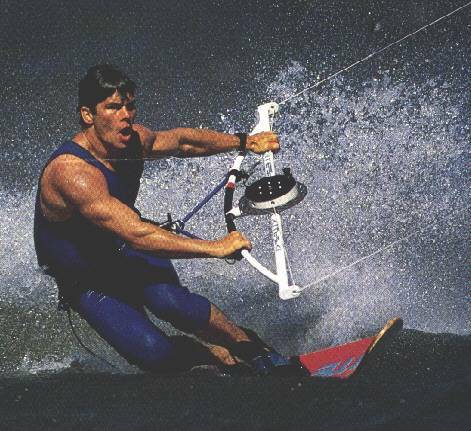 Back in the day, this was about it for options for some kiters. Today we have a lot more variety. As I recall Hung Vu developed an add on safety line flagging system to this bar. Still, it was heavy and much like kitesurfing holding part of a bicycle frame. Raphael B with F one loaned one to me to take to Maui in 1999. Fortunately, it never left my suitcase. Most of the trip was spent on 3 and 4 m Wipika two line kites in 20 to 45 mph winds. p.s.- NICE bar collection Bela, you will be able to endow a museum someday with some excellent kiting artifacts!